A Goodwill store in North Carolina sold a large abstract painting in 2011 for $9.99 to an amateur painter who wanted to reuse the canvas. A friend suggested she look up the name of the artist written on the back. It was Ilya Bolotowsky, a listed artist. 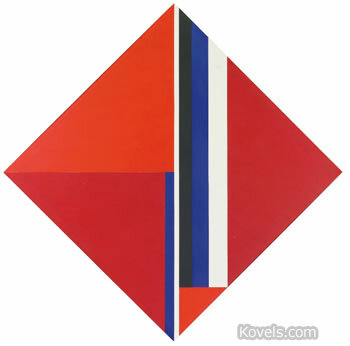 Sotheby’s auctioned the painting September 21, 2012, for $34,375 with the buyer’s premium. The seller plans to pay bills and repair her house with the money received. The lesson for all collectors: always do some research when you buy something with little known history.